So what can you expect from today's big steeplechase? Well, for starters, history could be made if last year's winner Tiger Roll is first past the post. The thoroughbred would be the first horse since Red Rum to win the Grand National twice on the trot (if you'll forgive the pun) – the feat hasn't happened in over 40 years. 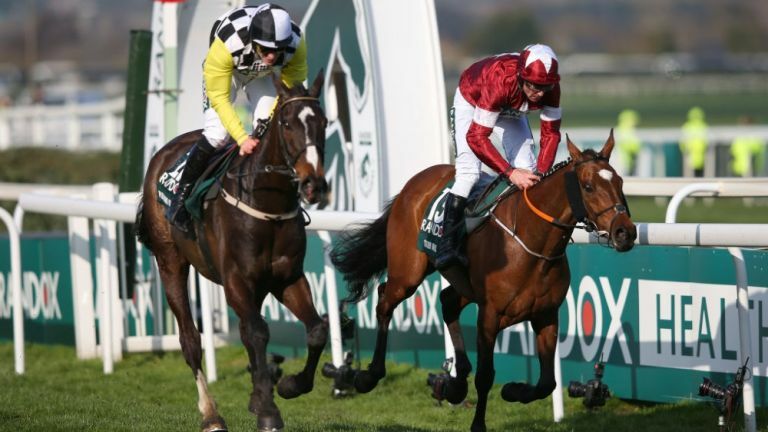 Ridden once again by jockey Davy Russell, the other 39 runners in the 2019 Grand National field won't be making it easy for Tiger Roll. Trainer Gordon Elliott's fleet of horses – he's saddling a record 13 for this one – include Tiger Roll, Jury Duty, General Principle and Dounikos. While Rathvinden, Vintage Clouds and Anibale Fly are among the runners hoping to prevent the brace of wins. 5.15pm BST is the time to keep in mind with the big-money horse race lasting around 10 minutes in total. Read on to discover how to get a 2019 Grand National live stream for free. If you want to watch online rather than on TV then get straight over to the ITV Hub, which will also be showing the action. You can download the hub app to your Android or iOS mobile or tablet as well. And there are also hub apps available for media streamers such as Amazon Fire TV, Roku and Chromecast. Unfortunately, if you're outside the UK this weekend and try to watch that ITV coverage, then you'll be initially out of luck as it will be geo-blocked. That means you can't watch it outside of the home country due to rights reasons. But there's a handy little trick you can use to get around that, using a Virtual Private Network. More commonly known as a VPN (you've probably already heard of them), the software allows you to virtually change your IP address to a server in another country so you appear to be in a completely different location. It's encrypted, making it also a safer way to navigate the web. We've tested hundreds of VPNs and can recommend ExpressVPN as the best option currently available. ExpressVPN has the benefit of a 30-day money back guarantee and is the #1 rated best VPN in the world right now. You can watch on loads of devices at once including Smart TVs, Fire TV Stick, PC, Mac, iPhone, Android phone, iPads, tablets etc and you'll also get 3 months FREE if you sign up to an annual plan. The way to watch in Australia is via the specialist Sky Thoroughbred Central station. It means a late night, however - starters orders are due at 2.15am on Sunday morning in the AEST timezone. Ideal if you're in one of those countries, but there's no need to worry if you're abroad and still want to watch your domestic Grand National live stream. Cast your eyes upward to learn how to watch the race as it happens with a VPN.